Maddie Grant, CAE and Ben Martin, CAE are well-known association industry experts on social media, digital strategy and online community building. For community managers (full or part-time) and the senior executives who oversee online community initiatives. With five 30 minute lessons, you can complete the course in a week, a month, or cram it all into one day. You don’t have to wait for a live course to start. The video lessons are available on-demand. 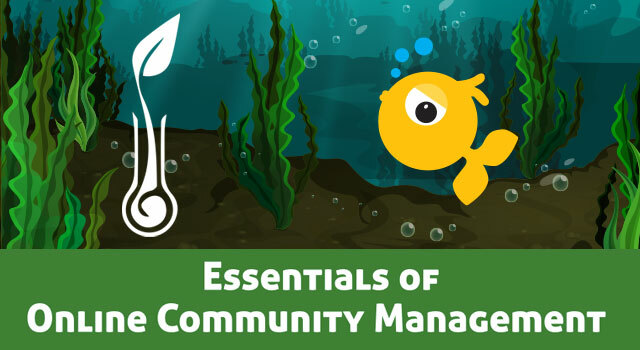 You don’t need a deep dive into the finer points community management. We cover the important stuff you need to know, with no fluff or BS. Each session comes with a free sample document, template or plan that you can adapt for use at your organization. Your tuition includes personal attention from two leading voices in social media and online communities. PRICING: $295/registration - THIS IS 66% off the full price of $895, only for Higher Logic Customers! NOTE: PLEASE DO NOT SHARE the direct link to the course with anyone outside your organization,this is a private version of the program for Higher Logic community managers. Thanks! This program meets the requirements for fulfilling the professional development requirements to earn or maintain the Certified Association Executive credential. Every program that we offer which qualifies for CAE credit will clearly identify the number of CAE credits granted for full participation, and we will maintain records of your participation in accord with CAE policies. For more information about the CAE credential or Approved Provider program, please visit www.whatiscae.org. As a CAE Approved Provider educational program related to the CAE exam content outline, this program may be applied for 8 credits toward your CAE application or renewal professional development requirements.